With health care reform, a common question is does my employer have to provide health insurance? Not necessarily. The health care reform law, called the Affordable Care Act (ACA), requires certain employers to purchase health insurance or else pay a tax penalty. Q: Does my employer have to provide health insurance? A: As of January 1, 2015, employers with 50 or more full time equivalent (FTE) employees are required to provide health coverage to full-time employees or else pay a tax penalty. This is commonly referred to as the employer mandate. Employers with less than 50 FTE employees are not subject to these tax penalties for not offering health insurance coverage, although if your employer does provide health insurance they might be eligible for tax credits. Even with the tax penalty, many employers with more than 50 FTE employees will calculate the cost of not providing health insurance and find it is more cost-effective to offer an alternative health insurance solution such as a Health Reimbursement Arrangement (HRA). For example, they may choose to send employees to their state health insurance exchanges. Employers would then provide an HRA to reimburse employees for a portion of their policy. Looking for a compliant way to offer health insurance reimbursement to your employees? Check out our free Comprehensive Guide to the Small Business HRA. Q: If my employer doesn't provide health insurance, do I have to buy health insurance? A: As of January 2014, healthcare reform requires most individuals to either be covered under health insurance, or pay a tax penalty. 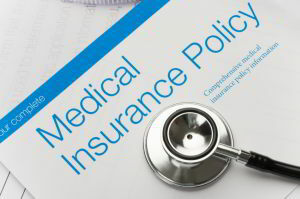 Coverage can include employer-provided insurance, individual health insurance, Medicare or Medicaid. The tax penalty phases in over three years and becomes increasingly severe. In 2016 and 2017, the penalty is 2.5 percent of income or $695, whichever is greater. This means that if you do not have coverage, you will be required to pay a tax penalty when you file your taxes at the end of the year. In summary, does your employer have to provide health insurance? Not necessarily. Whether they pay a tax penalty for not offering health insurance depends on their size. Editor's Note: This post was originally published in May 2013.